Ford vehicles have long been a favorite among law enforcement agencies. For example, you probably think of a police car any time you see a Crown Victoria. 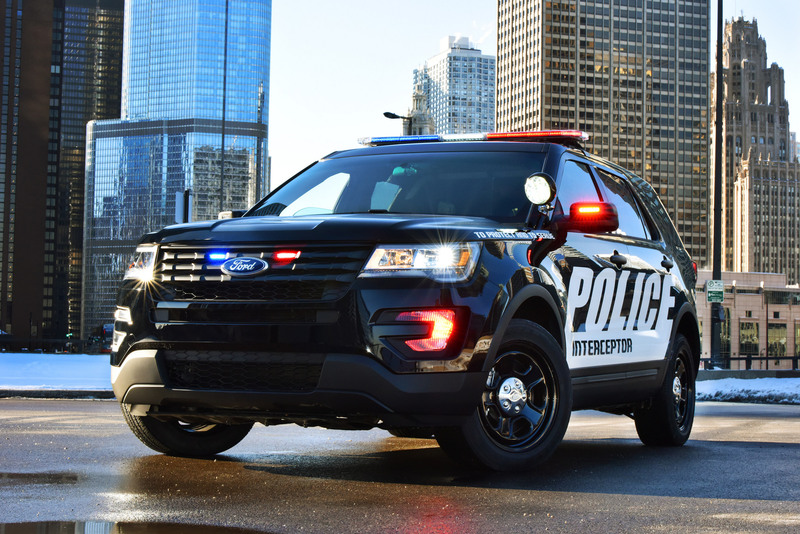 Now, agencies all over the country are falling in love with the latest Ford vehicle, the Police Interceptor. Ford offers two versions—a sedan based on the Taurus and a utility based on the Explorer. Recently, in an independent test done by both the Los Angeles Sheriff’s Department and the Michigan State Police, the Ford EcoBoost Police Sedan achieved the best police car acceleration and fastest lap times. Despite having a smaller engine, the 3.5-liter EcoBoost-equipped Interceptor was faster than the 5.7-liter Charger and 6.0-liter Chevrolet Caprice. The Ford Interceptor clocked in a 0-to-60 mph time of only 5.8 seconds. Here at Shults Ford Lincoln of Wexford, we are proud to know that so many law enforcement agencies trust Ford to provide the best equipment they need to protect and serve all of us.